Looking for a USED LB45III? 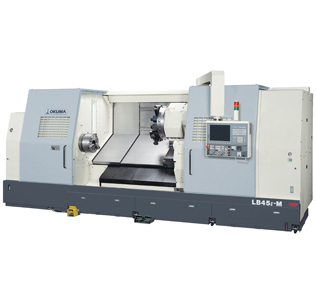 The LB45II single saddle horizontal lathe series offers speed, accuracy and power plus rotary tooling and long bed capacities. The powerful spindle and drive motor with fast-indexing NC turret mean high productivity for fast and heavy-duty turning. Add the optional M (milling) function for complete multitasking: turning plus drilling, milling and tapping. Looking to Purchase a New OKUMA LB45III?